An unusual book launch was held recently at Gleebooks, unusual in that three books were celebrated – novels by Michael Wilding and James Murray and a book of mine comprising three novellas. It was also unusual in that we had no launcher as a result of organisational failure. Editor extraordinaire Carl Harrison-Ford reminded us that in times gone by it was common for book launches to take place without speakers and to take the form of a party where people got drunk. This time each of us spoke according to the rule of best launches – that is to say, very briefly. Some familiar faces were there – Harrison-Ford, John Dale, Brian Kiernan, Evan Whitton and various family members. No one got drunk as far as I know; we each signed and sold a few books. And a good time was had. I thought back over the many book launches I’ve attended and discovered that I have very fragmented memories of them. Gough Whitlam launched Frank Hardy’s The Unlucky Australians in his imperious style. I chatted with him afterwards and, addressing me, as he did everyone, as ‘Comrade’, he promised to send me some material on something, I forget what, I was writing about. He never did. Bill Hayden, at the time leader of the Opposition, launched a book on politics, the name of which I forget. I remember a sparkling day at a reception room at the Opera House. Hayden confided to me that he’d done what he always did with political books – checked to see how often he was mentioned in the Index. Who wouldn’t? Good book launches, as I’ve remarked, are notable for the brevity of the launch speeches, others, regrettably, for their length. I know of someone who said he took a week to compose his launch speech. Me, I’ve always done them off the cuff. Get a good laugh or two early and you’re away. One of the most amusing speeches I’ve heard (again I’ve forgotten the book) came from Frank Moorhouse. It must have been an anthology of Australian writing because he remarked that all local writers should supply a biopsy of their livers to be lodged in a special facility at the National Library for analysis by critics. 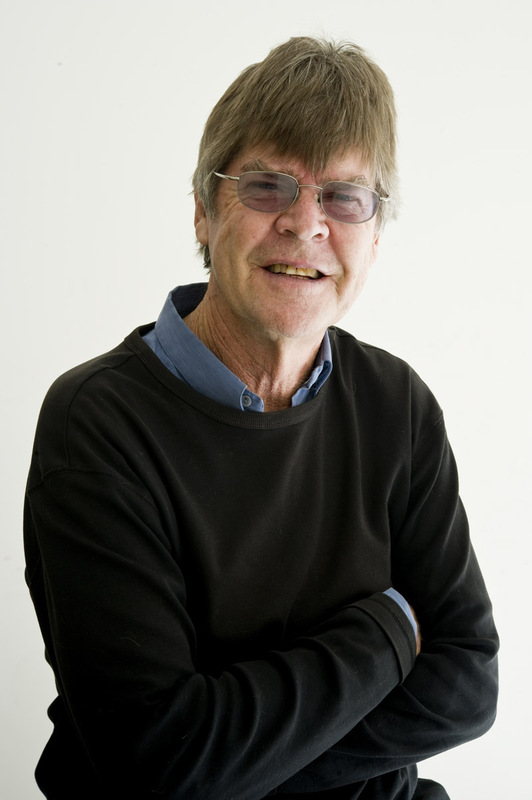 The most successful I participated in, in terms of people attending and books sold, were two for Fred Hollows’s autobiography, which I co-wrote. The first was in a city venue and attended by luminaries from many walks of life. It was hosted by broadcaster Terry Lane and aired on the ABC. Fred and I signed several hundred books. Some launchers get carried away and neglect to actually perform the formal function until prompted. Some time ago Germaine Greer made some complimentary remarks about my writing on a television program and, as she was coming out to the Adelaide Writers Festival where one of my books was to be launched, I urged the publisher, without much hope, to invite her to do the honours. To my surprise she agreed. I’d never met Dr Greer but I knew many people who had. I’d read several of her books and I’d had a girlfriend who’d gloried in the soubriquet ‘the poor woman’s Germaine Greer’. I was nervous on meeting her, even awestruck, but I need not have been. She was approachable, friendly, down-to-earth. Tall and commanding, with a beautiful voice, she read a passage from one of my early books and praised its quality. She didn’t even mention the book she’d been engaged to launch but no one cared, least of all me. I attended a book launch at UQ’s Ipswich campus library that you spoke at – enjoyed meeting you very much. I mentioned I had catalogued your PhD thesis for UPNG library in the early 80s and was subsequently intrigued to see Peter Corris on the cover of the Dying Trade. Have been a Cliff Hardy fan ever since.